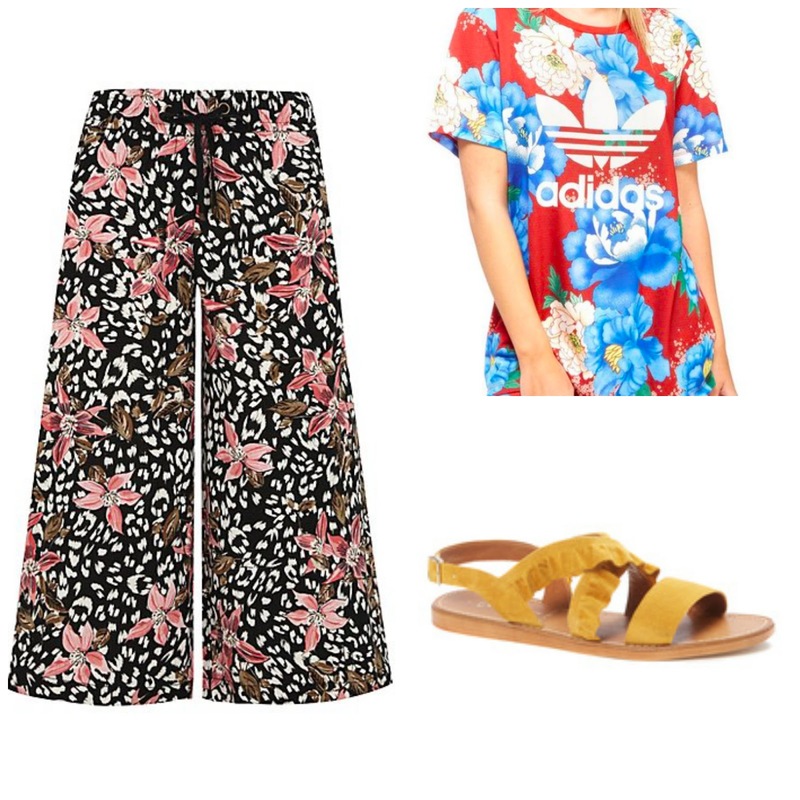 I for one am loving Summer fashion this year, and even though I'm skint right now (saving for America, duh) I've been doing my fair share of online window shopping - so here's a classic fashion wishlist. I love this style of dress, which I think is called a bardot dress but please correct me if I'm wrong - but this one's from New Look and I love the simple colour and the stripes. You could put it with pretty much any accessories and it would look fab. So cute. This patterned top is from Primark and it screams summer holiday to me; perfect with white jeans and tan sandals. 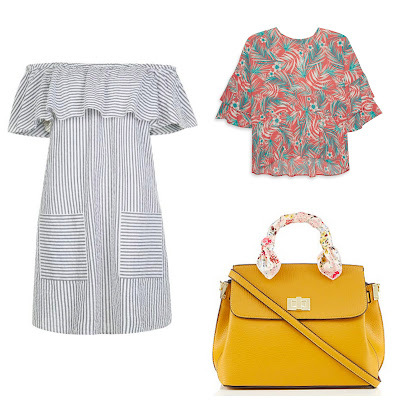 One of my favourite things in this whole wishlist is this yellow handbag from Debenhams: that floral handle is making me feel some kinda way, plus yellow is my fave colour ever. These culottes are from George @ ASDA, and I'm a massive fan of culottes because they make my waist look amazing if I do say so myself - plus this pattern is so funky AND I know they would match this peach bodysuit I own ... I'm getting carried away but I think I'm going to order these! I never used to really wear sports brands, but in recent years I seem to have accumulated a lot of Adidas t-shirts as well as my beloved jumper (if you have me on Snapchat you'll know I wear it aaaallll the time). This is the perfect casual t-shirt in my eyes. Last but not least - some yellow sandals from Sainsbury's. Told you I love yellow. 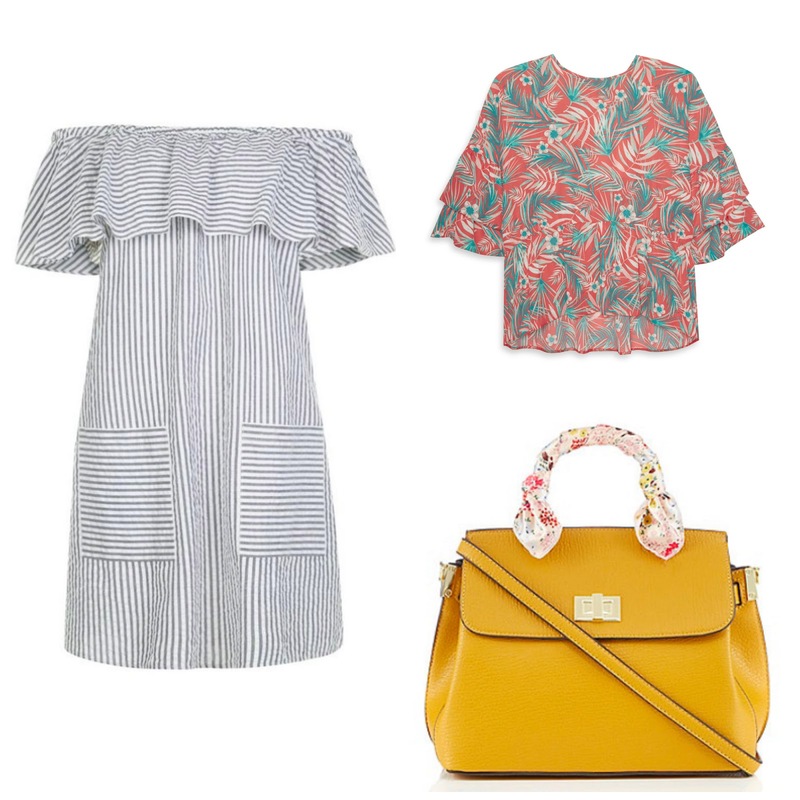 Plus: ruffles. 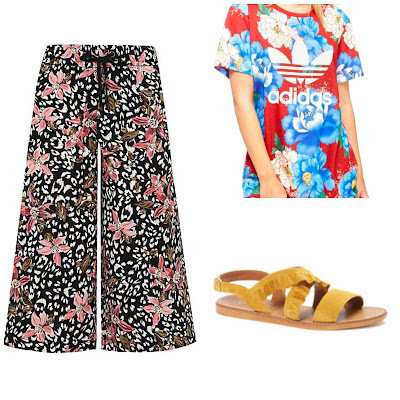 What's on your Summer fashion wishlist this year?